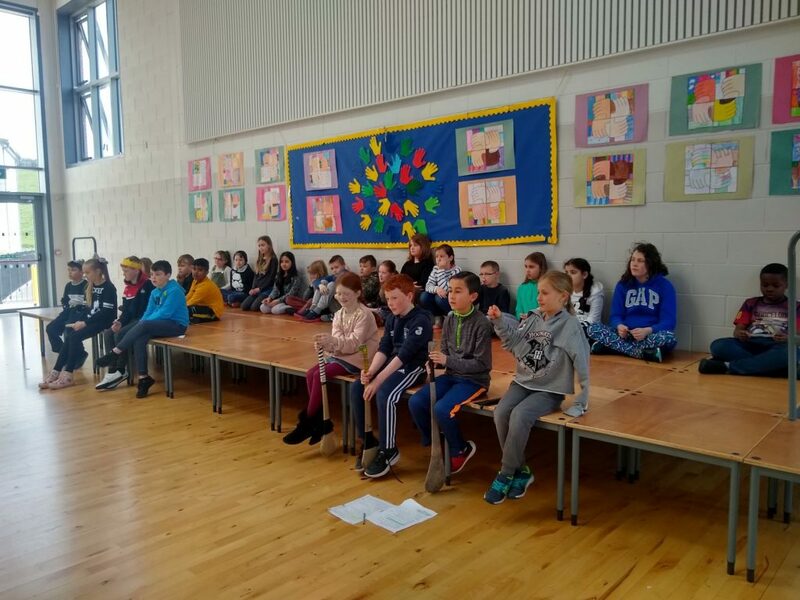 Scéal Shéadanta i Rang a 3 – Midleton Educate Together N.S. 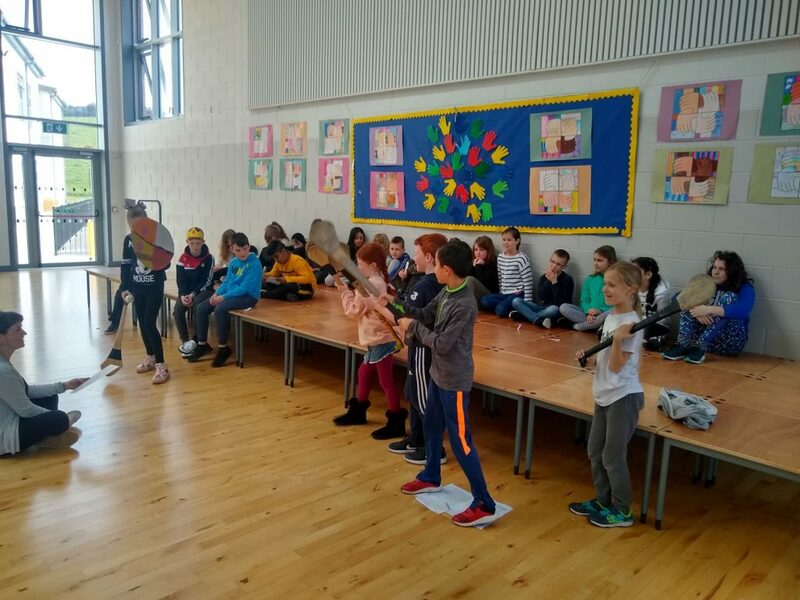 Chuir Rang a 3 (Rang Angela) dráma do scéal Shéadanta ar siúl ar an Déardaoin, 11ú Aibreán. Bhí an dráma sa halla agus bhí Rang James mar lucht féachana. Bhí Rang a 3 ar fheabhas ar fad. 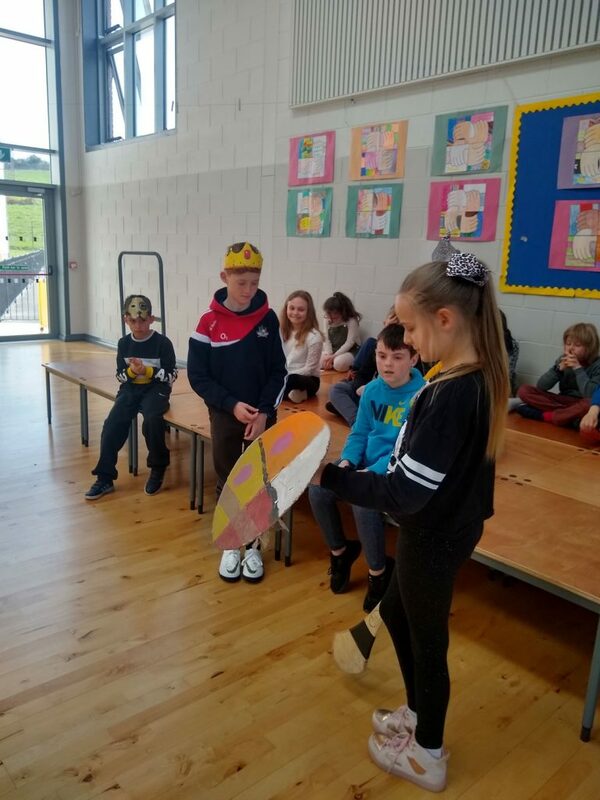 Ní raibh ach oíche amháin acu chun na línte a fhoghlaim ach rinne siad jab iontach. 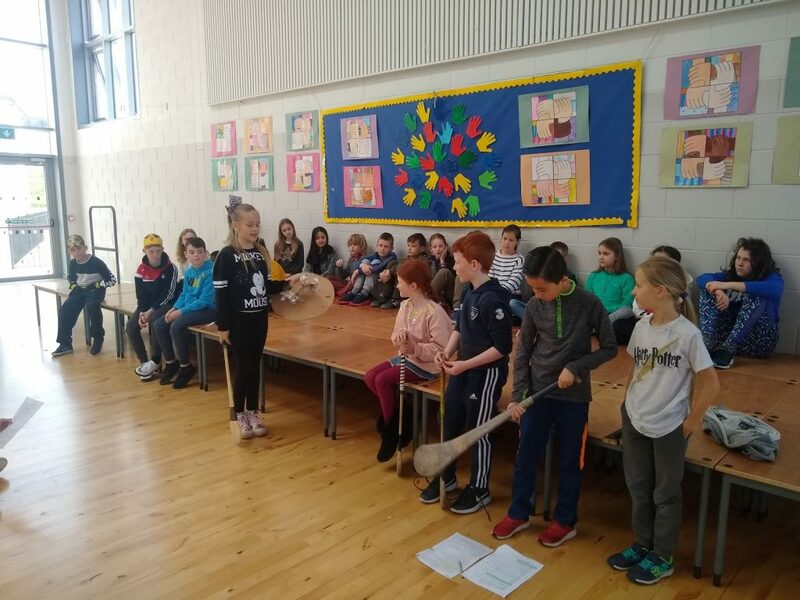 Bhí an dráma go léir trí Ghaeilge. Táimid an-bhrodúil astu!! 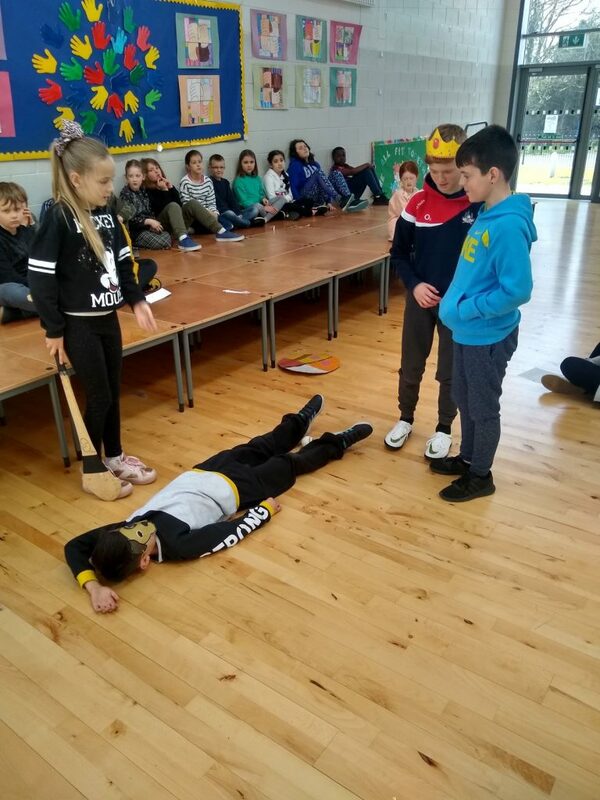 On Thursday, Rang a 3 (Rang Angela) put a play of Setanta’s story on in the hall for James’ Senior Infants class. They were absolutely fantastic. 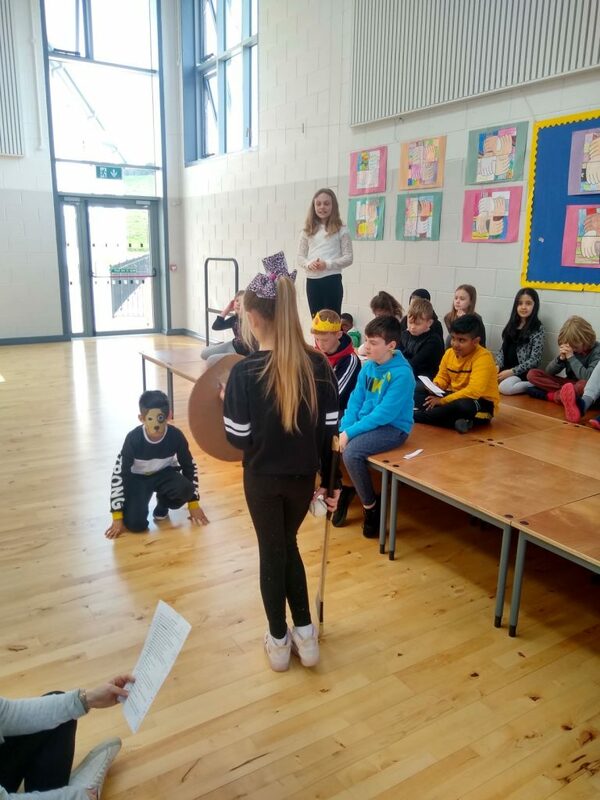 They only had one night to learn off their lines but they did an amazing job and it was all through Irish! We are so proud of them! Maith sibh, Rang a 3!